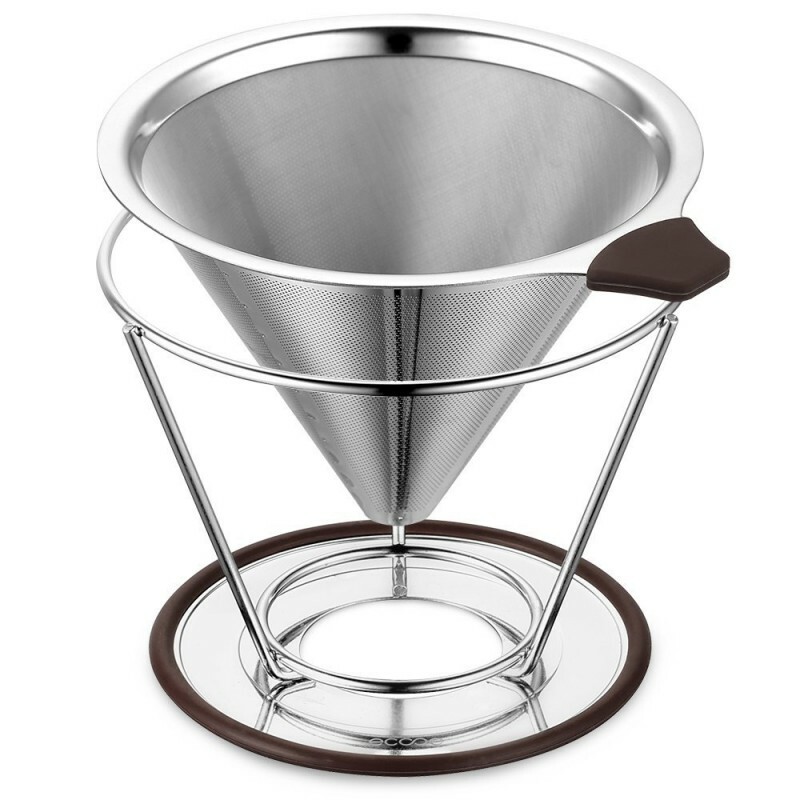 Enjoy the perfect pour over everytime. 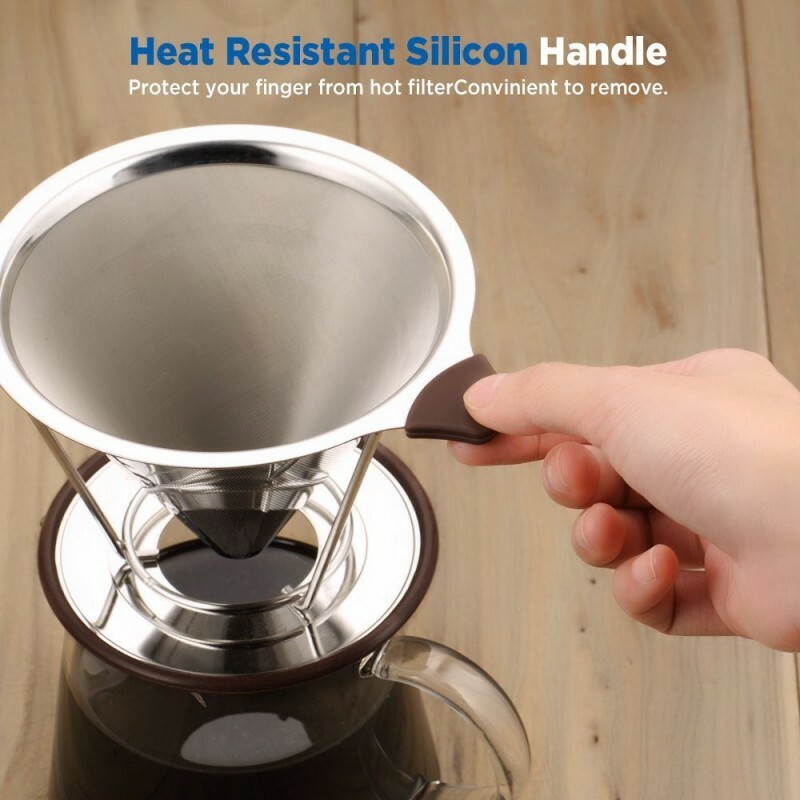 Crafted of high quality stainless steel, the dripper is sure to last for many years. 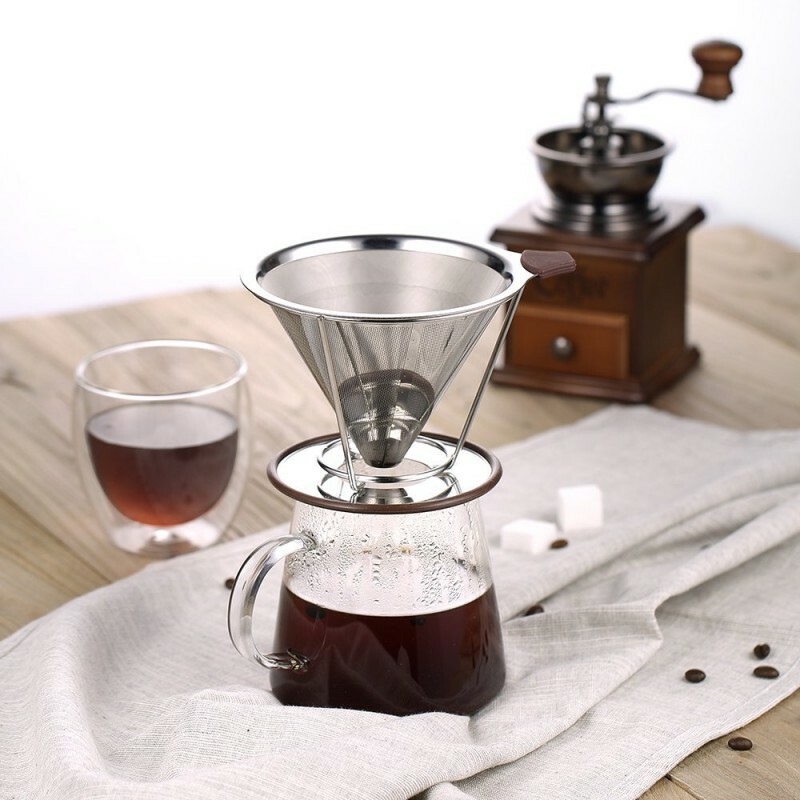 And it’s also safe and natural to retain the essential oils of coffee beans. 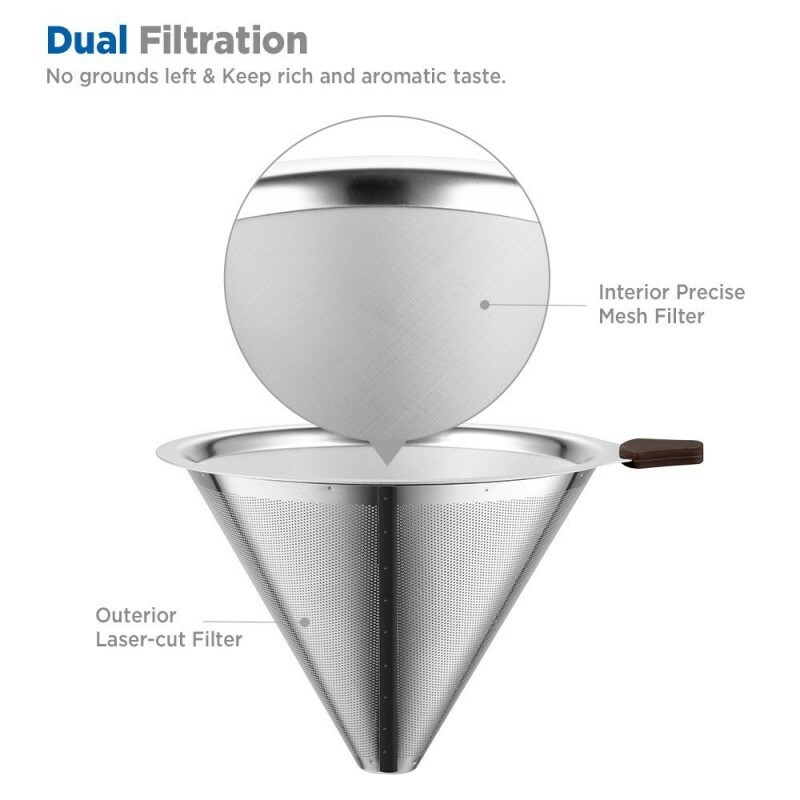 Featured with a dual filtration system, the dripper is able to extract the flavorful oils and aroma from your coffee, with almost zero grounds in your cup. 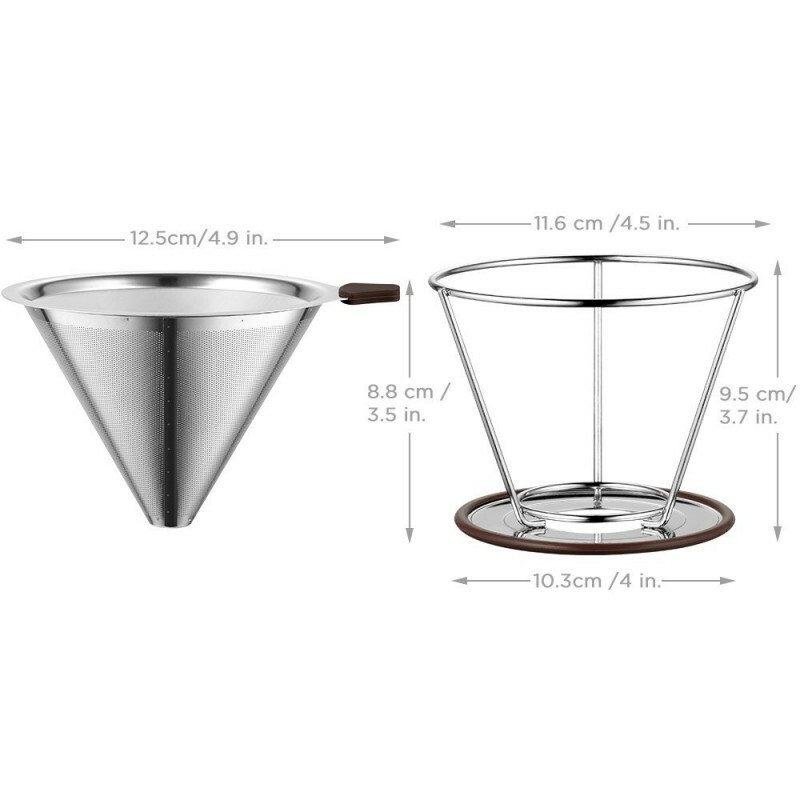 Simple structure fits securely over most cups and carafes. 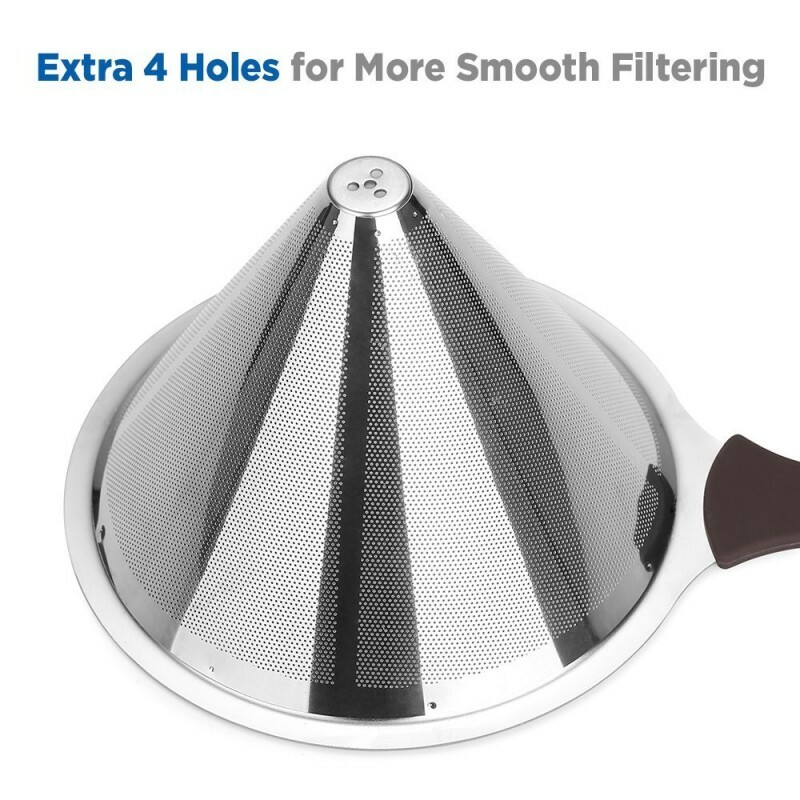 Just pours over a great cup of coffee again and again, without one single disposable paper filter.